Within five minutes, or ten minutes, no more than that, you know that you are in the presence of incredibly talented big band arranger. When listening to the Mike Barone big band perform them, all of his arrangements just seems to come together and to sound just right. Whether its the way in which the melody is initially stated, the tempo, the backgrounds for the solos, the shout choruses and the ending – each arrangement is artistically inspired and masterfully crafted. 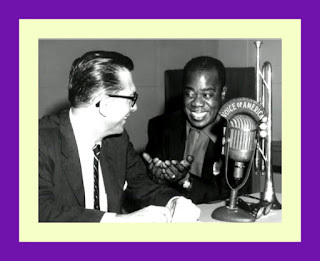 Mike was kind enough to grant the editorial staff at JazzProfiles a telephone interview for the express purpose of discussing how he approaches big band arranging. 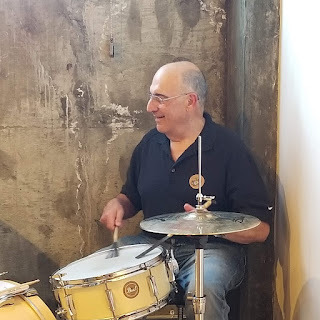 Arranging for big bands is something that he has been doing for over 50 years, and yet, Mike’s completely unassuming when he talks about it as thought there is nothing special about what he does. The other motivation for talking to Mike about this topic was we really enjoy his charts [musician speak for “arrangements”] and were curious about how he went about creating them. Incidentally, for more detailed information about Mike and his career, visit his website, click on “Articles & Reviews” and scroll down to the interview he gave to Steve Randisi of Cadence Magazine on September 1, 2006. 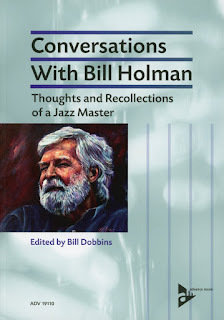 With Mike, it all begins and ends with arranger-composer Bill Holman – his single biggest influence. And like Bill, although Mike has some formal training, Mike’s arranging skills are largely self-taught. 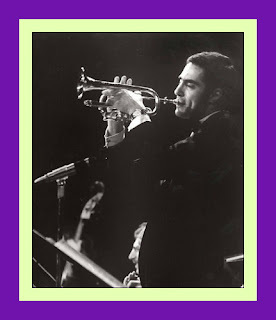 Mike also credited Johnny Mandel and the late Gil Evans as additional influences on his writing for big bands and noted that the late Neal Hefti was a “great melody writer.” He also had words of praise for the late Benny Carter and Gary McFarland, respectively. And, while not necessarily an inspiration for Mike in a big band context, the music of Charles Mingus is a big favorite of Mike’s. When Mike talks about what goes into his big band arrangements, one gets the feeling that he takes everything into consideration from the tempo at which a particular piece is played to the musicians who make up his band at any given time. An excellent example of how Mike re-works a standard in this manner to given is an entire different feeling is his use of a medium bossa nova rhythm for his chart on the Harold Arlen, Johnny Mercer standard – Blues in the Night. To my ears, Mike does a superior job of voicing sections in unison to play the melody and alternating these sections for a set number of bars so that a portion of the tune is heard through the trumpets, and then perhaps through the saxes and then later through the trombones. He may alter this pattern subsequently and change keys to continue to embellish the sound of the arrangement. Yet while all of this – and more – is going on, Mike’s arrangements never sound strained or forced; they just flow. A perfect example of the rhythmic flow that is so characteristic of Mike’s writing can be found in his arrangement of John Coltrane’s tune Grand Central which was originally performed by John along with alto saxophonist “Cannonball” Adderley on their Cannonball Meets Coltrane Emarcy LP. The powerful pulse of the original performance is maintained throughout but Mike elaborations as a vehicle for tenor sax soloist EW and VT are astounding – he’s just all over this tune. I don't know how many times I've played his arrangement of Grand Central but I still can't figure out how he incorporated and integrated the many ideas contained in it. See what you can discern as we have used Mike’s arrangement as the audio track to the following video. - a 3-chord phrase from 4:14 – 4:19 minutes launches each tenor into a cadenza [a point at which the band stops playing, leaving the soloist to play in free time [without a strict, regular pulse] before the tenors restate the theme at 5:09 and close out the tune. If you’ll excuse the analogy, listening to Mike Barone’s big band arrangements is like sampling a rich dessert, one that’s so full of flavors you wish it would never end. In this case, the “flavors” are textures or sonorities – the way Mike makes the music sound. People who cook know that there are no margins for errors when it comes to making desserts, everything has to be apportioned just right. So it is with everything that Mike writes for his big band – everything just “lays” so right – proportionally. - ushering in the tenor sax cadenzas with three fanfare chords at 4:14 minutes. And all of this – and more - is going on, and this is just in one of Mike’s arrangement! 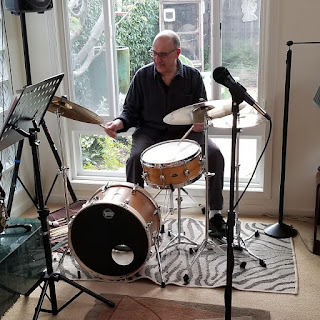 Because of Mike mastery of big band arranging, I find it almost impossible to listen to any of his CDs at one sitting: there’s simply so much going on and so much to absorb that I have to stop and savor one chart before moving to the next one. But then, the richness of what’s on offer in Mike’s creations makes it very easy to take pleasure in them at a slower pace. Treat yourself to a sampling of music by Mike’s big band; I think you’ll find the experience of being in the presence of a master arranger to be a very rewarding one, indeed. All of Mike’s CD’s are available on his website including one that was made in performance at Donte’s Jazz club in 1968 which offers a “then and now” some perspective on Mike’s writing. But I’ve never heard him play. For me and his many other fans, Ted brings Jazz to life by writing books about it. And what magnificent books they: grand in conception, well-researched and well-thought out and all are beautifully written. Thankfully, many of the literary Giants of Jazz are still with us. 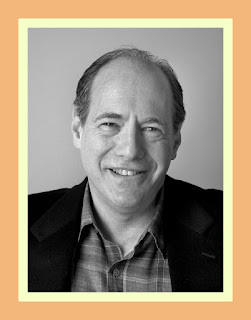 In Ted Gioia, it’s great to see a new one coming over the horizon to join their ranks. If you have yet to read Gioia on Jazz, you are missing out on one of Life’s real joys. How and when did music first come into your life? I have a picture of myself seated at the piano at the age of 11 months. A note in my mother’s handwriting mentions my interest in making sounds at the instrument. The note says: “Baby likes to play piano and drink coffee.” You could still describe me in the same terms today, so many years later. I didn’t start formal piano lessons until I was in fourth grade, but long before that I was playing by ear at the instrument. For as long as I can remember, I was drawn to music. What are your earliest recollections of Jazz? I didn’t discover jazz until I was a teenager. It is no exaggeration to say that my first visit to a jazz club was a life-changing event. Up until that time, I had dabbled in both classical music and rock. But after my first experience hearing live jazz, I put both of those on the back burner. From my mid-teens until my late twenties, I devoted around three hours per day to the piano. It was my great joy and solace—it still is. Alas, in my early thirties, I developed arthritis. This was nothing short of a personal crisis for me—and forced me to change how I saw myself and my calling in life. I had to limit the amount of time I spent at the piano, and I needed to redirect my energies into other pursuits. My productivity as a writer is closely related to my inability to put all the hours into musical making that I once did. What advice would you give to a younger jazz writer? I would offer a few suggestions. First, always strive for honesty, even if it makes you unfashionable. Instead of jumping on bandwagons, put faith in your ears and your own emotional responses to the music. You will be surprised how often the consensus opinion will eventually come to match views of yours that once seemed hopelessly out of touch. Nothing gets staler faster than the flavor of the month, but music that touches people’s emotions and delights their ears has a way of proving itself over the long haul. Second, listen to music sympathetically, and try to understand where the artist is coming from, instead of imposing a one-size-fits-all ideology on what you hear. Third, don’t write to try to impress other critics. Write to serve your reader. Be suspicious of critics who don’t seem to give sufficient respect to their reader’s enjoyment of music. I believe David Murray is the person who said it best: “People don’t want music they have to suffer through.” Jazz is not a form of penance—it is a means of enchantment. Fourth, listen, study and learn. Always try to expand your knowledge and musical horizons. Five, try to write as well as you can. Describing music in words is almost impossible, and the only path to success is through total commitment to finding the best words, the perfect phrase, the proper metaphor, the right style. Six, don’t be afraid to show your love of the music in your writing. Sometimes you may get attacked for doing this. You can wear those attacks like medals of honor. What do you mean by finding the “right style” to write about music? I have changed my writing style for every book. The proper tone for writing about West Coast jazz is different from the approach needed for the Delta blues. Listen to the music, and it will direct you to the right prose style. Although you write about many topics, what made you decide to become a jazz writer? I stumbled into being a jazz writer. I wrote jazz reviews for my college newspaper as a way to get record companies to send me free albums. I was financially strapped, and this was the only way I could find to get my hands on the music I craved. Later I wrote my first book, a quirky work called The Imperfect Art. I saw this book as a work of cultural criticism, but almost everyone else saw it as a jazz book. From that moment on, I was perceived to be a jazz writer—which was fine by me. That said, I still see my interest in jazz as one part of a larger concern with issues of society, art and culture. My recent book The Birth (and Death) of the Cool was, to some extent, an attempt to return to the approach I had followed with The Imperfect Art—namely to use jazz as a platform for discussing bigger cultural issues. Is there a form of writing about jazz that you prefer: insert notes, articles, books …? I fear that I am out of touch with the rest of the modern world. I prefer to write long essays, but the marketplace wants short articles. I have learned the new rules, and have figured out to blog and tweet. Still, my main interest is in writing in-depth works of criticism. The first jazz recordings I purchased were by Miles Davis, Dave Brubeck, Thelonious Monk, Bill Evans and Duke Ellington. Around this same time, I also developed an interest in ragtime and early jazz. During my mid-teens I learned a number of Scott Joplin rag pieces, and also studied the music of Jelly Roll Morton. But before my twentieth birthday, I began focusing on modern jazz. That included an intense immersion in bebop. Later I turned my attention to a wide range of post-bop styles. To some degree, I learned the jazz tradition in chronological order—starting with the earliest ways of playing jazz, and working forward. Many jazz players would eventually influence my personal approach to improvisation, but I would call particular attention to Lennie Tristano, Lester Young, Charlie Parker, Keith Jarrett, Rahsaan Roland Kirk, Paul Desmond, Chet Baker, Clifford Brown, Bud Powell, Art Pepper, Herbie Hancock, Paul Bley, Art Tatum, Lenny Breau, Denny Zeitlin and Wes Montgomery—as well as some of the names I already mentioned, especially Duke Ellington, Bill Evans and Miles Davis. I also listen widely outside of the jazz genre. Tango, Brazilian music, blues, contemporary classical music, movie soundtracks, singer-songwriters, choral music, you name it….I am always on the lookout for fresh new sounds. Armstrong may well be the single most important individual in the history of jazz. To understand his impact, you need to listen carefully to jazz before Armstrong, and then gauge what Louis added. Compare King Oliver’s “Dipper Mouth Blues” from 1923 with Armstrong’s “Potato Head Blues” from 1927—and marvel over how far the art of jazz improvisation was pushed forward in just four years. And almost entirely due to the contribution of a single person. I continue to return to Ellington’s music for inspiration. I especially admire the music he made between 1938 and 1943. 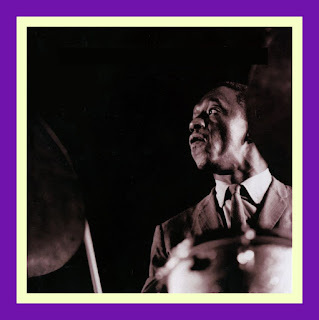 During this period Ellington set a standard for jazz composition that no one has surpassed. As you know, I have a maintained a lifelong loyalty to the musical values of cool jazz. And my allegiance is undimmed by my realization that jazz has always been primarily a hot art form. Those who pursue a cool aesthetic must have the courage of their convictions—both because it is bloody hard to live up to its demands on the bandstand, where one invariably gets caught up in the heat of the battle, and also because the critics and opinion leaders in jazz have often been indifferent, if not actually hostile, to the cooler approach. So Lester is more than just a musician for me; he is also a kind of hero and role model. No one did more than Lester to shape the values of cool jazz, and he did it in the face of intense opposition. Musicians today could learn a lot from him—particularly in his ability to make a complete and satisfying musical statement in just 8 or 16 bars. I also hazard to say that jazz would have a larger audience nowadays, if younger musicians came to grips with what Lester could teach them. If you haven’t heard what Dizzy did in the 1940s, you won’t understand bop, and you won’t adequately comprehend how much he raised the bar for everyone else. His playing on “Salt Peanuts” from 1945 may be the most exciting trumpet solo I’ve ever heard. A beautiful player, an underrated composer and a lovely person. I consider myself fortunate to have had the chance to meet with him and talk about his life and music. Another pioneer of cool jazz. Gerry played the decisive role in establishing the cool aesthetic on the West Coast. To some extent, critics began perceiving California jazz through the prism of Mulligan’s contribution. This had an unfortunate side effect of obscuring the work of West Coast players who didn’t fit into the cool pigeonhole, yet you can’t blame Mulligan for that. He had a fresh, uncluttered approach—as with Lester Young, Mulligan could be a valuable role model for jazz players even today. I didn’t pay much attention to Tristano until I was in my early twenties. But when I was studying at Oxford University, I performed in a quartet with a British saxophonist named John O’Neill—he later wrote some very well-known sax and flute method books—and he was a Tristano devotee. John opened up my ears to Tristano. The more I listened to Lennie, the more I became convinced that he was a hugely important figure who had never received his due. I still feel that way. In many ways, Lennie was decades ahead of his time, especially in his concept of phrasing. Miles Davis – John Coltrane? I’m sure many jazz insiders are tired of hearing about Kind of Blue. In the parlance of the music business, it is perhaps “over-exposed.” Yet I still think this might have been the most talented jazz band to ever perform as a working group. Miles and Trane each represent what sociologist Max Weber would have called “ideal types,” and to hear them perform together is magical, and will always be magical. I cherish the 1961 Village Vanguard recordings made by Bill Evans, Scott LaFaro and Paul Motian. This would be one of my desert island disks. Wynton gets a lot of criticism, but I believe he has made a substantial contribution to the music. His best work will still be heard and admired many years from now. He has also matured into a fine ambassador for jazz, and a caring mentor to younger musicians. 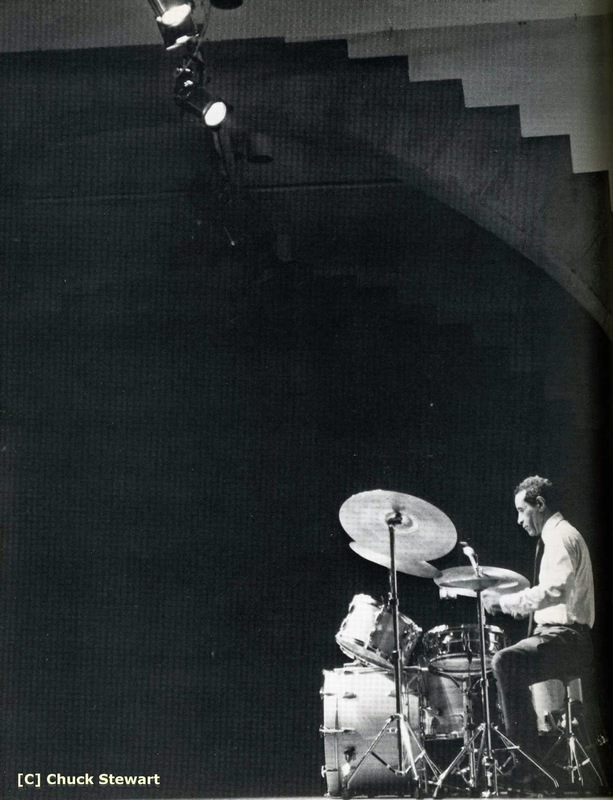 Dave is an intensely creative artist who believes firmly in the process of improvisation—I suspect that he seeks to surprise and astonish himself when he plays, and this openness to the inspiration of the moment is one of the reasons why his recordings still sound so vital decades after they were made. I admire his music, and I also admire him as a person. Mr. Brubeck is a class act. The Imperfect Art: Jazz and Reflections of Modern Culture is your first published book. What is the main theme of this work; how and why did this book come about? I came up with the idea for this book while studying philosophy at Oxford. I had the crazy idea that jazz could elucidate key issues in philosophy and aesthetics. I began writing the book the day after I finished my final exams. I take some pride in the fact that many people consider this one of the strangest jazz books ever written. It definitely has maintained a cult following—I still hear from readers who respond favorably to its strangeness. When you wrote West Coast Jazz: Modern Jazz in California, 1945-1960 [published 1992], this style of jazz had not been in practice for over 25 years. What motivated you to research and write a book-length treatment on the subject? I grew up in Southern California, and felt a personal affinity to the West Coast jazz music of the 1950s. I had heard too many smug critics dismiss this music as some sort of marketing gimmick. I disagreed vehemently with the conventional wisdom, and decided I wanted to try to change it. So when my editor Sheldon Meyer asked me to write a follow-up jazz book to The Imperfect Art, I decided to make the plunge and write the history of modern jazz on the West Coast. This was a brash decision. I was too young to write the story of this period. There were many jazz critics who had been active on the West Coast during that period, and they would have been in a much better position to write a book on the subject. But people like Leonard Feather and Ralph Gleason had no intention of tackling this subject—like many of their peers, they were somewhat scornful of the West Coast tradition. I stepped in to write the book, because the history needed to be documented and dealt with on its own terms. This book was a true labor of love. I think the book had an impact. In the years following the publication of West Coast Jazz, fewer and fewer critics offered up smug rebukes to this body of music. The musicians associated with the West Coast started to get a larger dose of respect. I like to think I played a part in this change. Ever since I wrote my West Coast jazz book, I wanted to write a related book of cultural criticism that dealt with the nature of “cool” as a social force. When I finally sat down to write the book, and pulled together my research—which I had been collecting for more than fifteen years—I came to the surprising realization that the essence of cool was under attack in the current milieu. This forced to me recalibrate my entire book. Instead of writing a book on cool as a timeless concept—which I had originally envisioned—I needed to chart the rise and fall of cool over a half century period. I studied this shift via motion pictures, books, television show, music, politics, business, religion and other spheres of our modern life. The basic premise of the book is that post-cool attitudes and lifestyles are on the rise, and changing our cultural landscape. As a nation, we are losing our cool, so to speak. The Birth (and Death) of the Cool has both fervent fans and detractors, and may be the most controversial thing I’ve ever written. The New York Times labeled it “… one of the 100 notable books of 2008;” The Economist considers it to be “… one of the best books of 2008.” Talk a bit about why the subject of your book Delta Blues is so compelling and important? When I was delving into jazz during my teens and twenties, I paid insufficient attention to the blues tradition. I had concluded—mistakenly, I now realize—that blues was simple music. But as I matured as a music writer, I came to realize that the early blues was much richer and deeper than I had ever suspected. During the course of the 1990s, my interests gravitated more and more toward traditional African-American music. I wrote a book on work songs and another book on the use of music in healing and ritual, and these projects further reinforced my sense of the power and depth of pre-commercial musical values. At a certain point, I decided to make the plunge and immerse myself in the blues heritage. My Delta Blues book was the result of that process. Why did you decide to take on a book-length study of the History of Jazz? As Ken Burns found out, somewhat to his amazement let alone his consternation, when his television documentary on the subject aired on PBS, jazz fans seem to take exception to almost all aspects of his work, especially in terms of the artists he included and those he decided to leave out of his retrospective. How did you approach the project? Did you have a particular theme in mind? What segments of the history are you particularly pleased with and are you satisfied with the reception the work has received from its reviewers? I don’t think I would have had the courage to write an all-encompassing history of jazz without the support and encouragement of my editor at Oxford University Press, Sheldon Meyer. He had confidence that I could rise to the demands of the project, and I worked hard to live up to his expectations. I was fully cognizant that Sheldon had served as editor for many of the finest jazz writers of recent decades—Whitney Balliett, Martin Williams, Gary Giddins, Gunther Schuller, Francis Davis, Stanley Crouch, Richard Sudhalter, Gene Lees, Ira Gitler and many, many others. His advice and support were crucial to the whole endeavor. How did I proceed? I based my work on deep, intensive listening and aimed to convey to readers something of my own joy in the music, but also took seriously non-musical factors—I was always striving to place jazz in the proper socioeconomic and cultural perspective. I aimed for scrupulous fairness—even when I presented revisionist views, I put them in the context of opposing perspectives, so readers could judge for themselves. Above all, I worked hard at my writing—I wanted the work to read like an unfolding story, and not just a compendium of facts. I will leave it up to readers to decide on the ultimate success of the venture. But clearly the response has been sufficiently positive to justify a revised and expanded edition of the work, which came out a few months ago. If you could write a next book about any jazz-related subject, who or what would be the focus of such a book? My next book will be a study of the jazz repertoire. It will be called The Jazz Standards. This will be a fairly big book—a 200,000 word manuscript. Oxford University Press will be the publisher. Of all your writings about jazz over the years, which ones are among your favorites and why? I have always written from a passion for the music. I would be a more commercially successful writer if I paid more attention to what publishers and editors want, but I find it hard to operate that way. My focus in writing has changed over the years, based on whatever I am most passionate about at time. I pick subjects that delight me, even if everyone else tries to dissuade me. Because of this approach, I usually am most enthusiastic about whatever I am writing about on any given day. What are you thoughts about blogs and websites devoted to jazz? I visit the leading jazz websites almost every day. As the mainstream media cuts back its coverage of jazz, blogs and web forums are filling the gap. If you checked out the jazz bookmarks on my web browser, you would probably find around 40 jazz websites that I visit with some regularity. I realize that your interests are wide-ranging, but could you please conclude this “interview” by talking a bit about what excites you as you look out over the current jazz scene? I try to listen to some new music every day of my life. Some days, I may listen to as many as four or more new CDs. This is an excellent practice, and I would recommend it to other music writers…and music lovers. If you practice this kind of expansive listening, you will find that there are countless talented and exciting artists out there—and not always on the major labels. Indeed, nowadays, they usually aren’t on the major labels. I am especially struck by the global spread of jazz talent. Promising artists and interesting music are everywhere—but you need to put out the effort to find them, since you probably won’t hear them on the radio and you almost certainly won’t see them on TV. In short, if you put in the time and energy necessary to hear what is happening right now—this year, this month, this week, this very day—you won’t be disappointed. Art Pepper and Marty Paich - "Airegin"
Bill Evans - "The Interplay Sessions"
Bud Brisbois- "Woody 'n You"
Kenton and Kandinsky - "El Congo Valiente"
Joe Magnarelli - Revisiting "Mags"